I love my new coverlet. Not too heavy, fits my bed great. The only thing I did not like, but can live with, was the standard size shams with a king size coverlet. 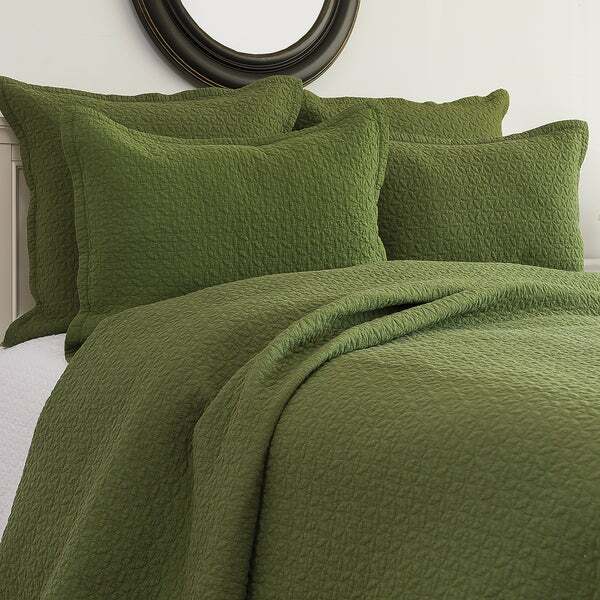 Escape into a serene peaceful retreat with the Manchester Fern quilt set. Fall into a sea of soft, quilted Fern green complete with understated floral stitching, giving a nod to comfort and style. Due to the hand dyed nature of the Manchester quilt set, color variations make each set unique. This is SO BEAUTIFUL. It’s so hard to find such a beautiful green color like this - a true green and not a sage. I absolutely love it. High quality and worth every penny. 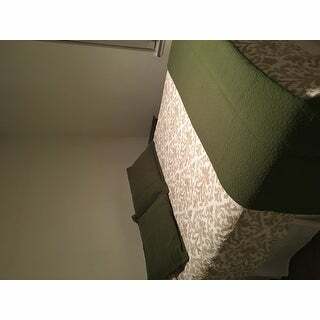 I don’t really have use for the shams, but they’ll match the guest bed quilt perfectly. I finally found the right color of green ! I have been looking to add some extra color to my bedroom and this fits the bill. A bit lighter weight then matalise but perfect for my needs. I love this quilt. The material is light weight and soft. The color is as displayed. Just note that the pillow shams are for a standard pillow even if you order a king size quilt. It is as I expected. I am very happy with purchase. I love the color and the softness of this quilt. I would give this product 5 stars, but it is very light. It is not as weighted as I hoped it would be. Color exactly as shown. 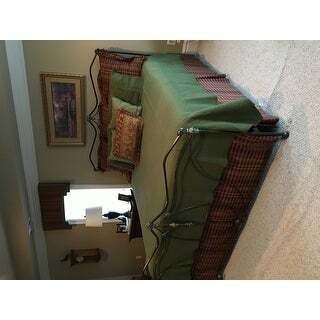 Thought it would be a little thicker for price but using in guest room as an extra bed piece so happy with it. Has really brought room together. Favorite color! love this quilt, it is very light weight so I can use it year round. The color was exactly what I wanted, the workmanship is also very good. This quilt is very and soft and not too heavy. Even though it is fairly light it still keeps the heat in, I'm very impressed with the quality. Leave itto overstock to have a color that is hard to find, Different is why the title fits. Overstock is the best. Barely covered twin bed top. More like a throw. OVERSTOCK CHARGED ME TO RETURN IT EVEN THOUGH I WAS EXCHANGING IT. This quilt is 100% cotton cover and backing with a polyester filling for loftiness. Please let us know if we can assist you further.